Want to learn more about RJI Professionals, Inc? 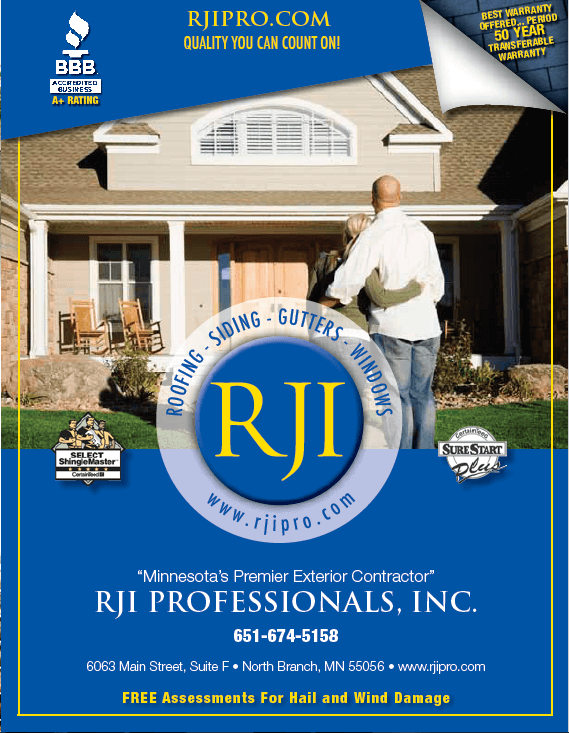 You can download our brochure to learn even more about how we can help you with your roofing, siding, replacement window, gutter, painting, or storm damage repair project. In our brochure, you can see how we work, what we can do, and what we have done to become so respected in our industry and among our customers. It is through our excellent customer service that we have been able to receive a lot of business through word of mouth referrals. So, go ahead and take a look to see what we have done and why so many customers are talking about us with their friends and family. If your home has been damaged by a storm or you are ready for a change of scenery and want the exterior of your home to be a better reflection of your style and personality, let us help you. We can get started on your project quickly and easily. Just look at the photo gallery of projects that we have completed using strict quality standards, skill, and superior products. We have successfully given customers what they want in our service areas of Minnesota, Colorado, Wisconsin, Texas, Montana, and North Dakota. To get your free estimate, call us at 877-ROOF-310 or complete the free estimate form below and a member of our knowledgeable staff will get back to you as soon as possible.